Planet is the common designation for a certain type of celestial body orbiting a star. They occurre in a great variety of different compositions, masses, and surface conditions. The exact definition of what constituted a planet varies among cultures. The final appearance of a planet depends on its formation process, which means where and under what circumstances it formed. Planets can accumulate gigantic atmospheres, exceeding their original size and mass, or they can rest without any atmosphere at all. With a sufficient mass, a planet is able to accumulate so much gas, that it starts to undergo nuclear fusion, turning into a protostar. In this state it begins to emit energy, as its core temperature and density increases. 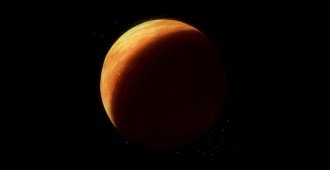 Planets can also be changed to a Class M environment by terraforming. The Federation has numerous different classifications for planets depending on their mass, composition, surface environment and atmospheric compounds. The Federation classifies planets it cataloges based on criteria such as atmospheric composition, surface temperature, and conditions, the size of the body, and the presence of animal and plant life. This system is used to determine the suitability of the planet for exploration, colonization, and scientific research. Each class of planet is assigned a letter in the alphabet based on its suitability. For example, Class M (sharing meaning with the Vulcan designation Minshara class) is applied to planets that can support life without any special circumstances, such as Earth, Vulcan, or Cardassia.